Determined to enhance its position as a leading petroleum producer in Africa, Nigeria had planned to increase its oil reserves from over 30 billion barrels to 40 billion by 2020. The increased reserves were targeted at enabling the nation to increase its production capacity, foreign exchange generation and ranking in the comity of oil nations. Consequently, the government through the Nigerian National Petroleum Corporation, NNPC and the International Oil Companies, IOCs had drawn up many projects and programmes that could assist to accomplish the set target. But investigations showed that the target may not be accomplished as the Department of Petroleum Resources, DPR, currently puts the nation's oil reserves at 37 billion barrels, showing as much as three billion barrels below the envisaged level. The reasons are not farfetched. First, many previous governments did not support aggressive investment in the industry. Second, the long lull in the market, characterised by low oil price did not encourage operators to put more funds into exploration and production. Third, the arrival of 2019 as Nigeria's election year is expected to slow down development in many sectors of the nation's conomy, especially petroleum. In other words, not much investment is expected as the government and other stakeholders are already set to go into active politics. Expectedly, the situation has attracted the comments of some experts. For instance, in an interview with Sweetcrude, Mazi BankAnthony Okoroafor, President of the Petroleum Technology Association of Nigeria, PETAN stated that: " It is not possible to achieve the 40 billion barrels 2020 target. We are not exploring and our drilling activity is so low. We currently have the lowest rig-count in several years . We also have the lowest well servicing activity. 'The last two years have been challenging for the oil and gas industry. We have seen the price of crude oil crash. Within the two years, we have seen projects deferred and cancelled. We have witnessed slow oil and gas ctivities. We have also seen banks afraid of lending money to sector players." He also stated that: "PETAN has been affected greatly because the oil & Gas industry in Nigeria is in a state of coma. Activity level is low. We do not know the status of major projects like Bonga SW, Zabazaba. "Projects have been delayed, deferred or cancelled. PETAN companies that have built capacities and capabilities are laying off well trained personnel. Banks are no longer lending, there is a tightened access to capital with decreasing cash flows, highly leveraged companies are struggling as lenders and investors tighten access to capital. "For operators, this is limiting their ability to continue exploration and development activities which starves service companies of jobs. Rig count is low, well intervention and well completion activities are low. There is increasing pressure to reduce and control costs." Okoroafor added that: "the oil and gas industry is dying. Service industries that have built capacities and capabilities are laying off workers. The delay in passing PIGB is making the country to lose lots of projects to other countries." Surprisingly, there are indications that oil companies recorded slight increase in their exploration and production in February, 2018 as Nigeria's rig count showed an increase of four, having recorded 35 rig count as against 31 recorded in January. Interestingly, Nigeria showed an improvement as it came second among the 14 OPEC members. Saudi Arabia led the pack with 5 rig count. But the tempo may not likely be sustained apparently because of huge funds required for exploration. 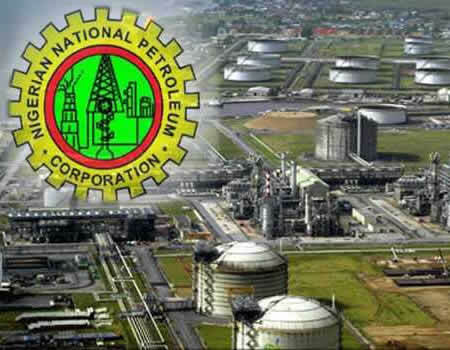 The NNPC has estimated that the nation would need to invest between $13 and $16.5billion over the next five years in order to achieve 40 billion barrels crude oil reserves by 2020. A source in the Ministry of Petroleum Resources, MPR, who spoke with Sweetcrude, doubted the capacity of Nigeria to make that level of investment at this time. He said that even if the nation was blessed with adequate funds, it would still take much time to explore in order to make new commercial finds. Despite the federal government deal with the Niger Delta militants and other stakeholders, insecurity has not been completely eliminated in the region. For instance, data obtained from Shell showed that the company recorded a total of 76 spill cases in 2017. A breakdown showed that 44 spill cases were recorded in the first half (January - June) of the year, leaving 32 cases for the second half (July - December). The company attributed most of the cases to sabotage while a few were attributed to other factors in the region. The situation is not different in the North where the NNPC has restarted its aggressive search for oil. Already, the University of Maiduguri has expressed its willingness to resume oil exploration activities in the Chad Basin despite security challenges. But the success or failure of the team, it was gathered would depend on the ability of the government to provide them with adequate security backup. Petroleum policy There are indications that some of the problems may be tackled through the implementation of the nation's National Petroleum Policy, targeted at bringing about restructuring, new legislation and value addition in the oil and gas industry. The policy, which has already been approved by the Federal Executive Council, defines the strategy of the government with respect to Nigeria's oil resources. The policy indicated that: "Unless there are additions to reserves and those reserves are brought into production, Nigeria can expect to see absolute declines in production from around 2020." Wise counsel However, Mr. Bala Zaki, an energy expert said in a telephone interview with Sweetcrude that the government should be consistent in the implementation of policies, especially the new petroleum policy. He also called for the tackling of insecurity as well as provision of adequate incentives to attract serious foreign and local investors into the nation.